Dunhill finds a need, and they fill it. We believe that employees are a company’s greatest asset and the driving factors behind an organization’s success. Being a locally owned and operated staffing company, we take pride in developing and customizing personnel searches that work best for you and allow your business to operate at peak efficiency. All of Dunhill’s services will save you time and greatly reduce your costs, human resource functions, and paperwork. There is never a fee for meeting with our candidates. Dunhill offers three types of placement services. Are you looking for a permanent team member to join your organization? Our direct hire placement service is just for you. Let us know your needs. We’ll interview and qualify the only best candidates. After a successful interview and offer, the candidate will go to work directly for you. Do you have an opening that needs to be filled immediately? Would you prefer to “try out” a candidate before making a permanent offer? Is your job opportunity seasonal or temporary? If you answered, yes to any of these questions, our temporary or temp-to-hire service is the answer. Once we identify your needs, we will provide candidates for your approval. Prior to their starting at your business, we will qualify them with an interview, skills assessment tests, and background and reference checks. The successful candidate will then go to work with you but be employed through Dunhill of Hawaii – payroll, benefits, absences, and advising will be managed by Dunhill. At the end of the assignment, you will have the option of hiring the employee to become a permanent team member at your company. Do you have a medium or long-term assignment that requires business or technical talent? Do you have a workload “spike” or a corporate project that requires more manpower? If so, our contract staffing services are the right solution. We will identify your positions requirements and present only qualified candidates for an interview. After a successful interview, our candidates will report to work with you for a specific project or time period at a specified hourly rate. The candidate will be employed through Dunhill but will take day-to-day direction from you. At the end of the contract period, the employees will return to Dunhill for re-assignment. Why should you work with Dunhill? What sets us apart from similar staffing firms? What competitive advantages does Dunhill offer? Let’s take a look at the Dunhill Difference. Name Recognition: “Dunhill” is a name brand among Hawaii’s staffing services providers. 40 years of successful operations naturally result in strong name recognition. Time & Money Savings: Our candidate qualifying process is one of the best in the nation. Typically, staffing firms’ ratios of interviews to hires is 10:1. Dunhill of Hawaii’s ratio is 3:1! We promote quality over quantity, and in the end this will save our clients’ time and money. Strong Recruiters: We have trained and experienced recruiters with proven track records of presenting your job opportunity with skill and finesse. Extensive Network: Because of our work, memberships, and decades of experience, we have built a strong and expansive network of businesses and talent throughout Hawaii, the U.S., and the Pacific Rim. Unique Situations: We can provide staffing for the most unusual circumstances. Do you need five bi-lingual sales associates to work during the evenings and on weekends? Dunhill will staff that! Do you have a short-term assignment that requires 25 data entry specialists? Dunhill will staff that! Business Flexibility: We have business creativity and adaptability. In order to be a successful small business in Hawaii, you must be innovative and flexible. While certain processes remain the same, we are willing to explore any business opportunity, teaming relationship, or technological development that will make our business better. Exceptional Reputation: Our customer service and business practices have earned us an excellent reputation with our clients and candidates. Additionally, we maintain current “excellent” past performance ratings with the State of Hawaii, as well as “excellent” past performance on all military government contracts. Step 1: Understand the company, business operations, and job requirements and responsibilities. Identify important qualities for the new-hire, specifically team, social, and communication dynamics. We will only present candidates that accurately match your requirements. Step 2: Research the industry to locate the logical talent pool. Check existing database for leads and source to narrow our search results. Step 3: Actively recruit qualified candidates and present your job opportunity as only a recruiter can! Qualify candidates by initial telephone interviews. Separate the potential finalists from those that aren’t qualified or who are not serious about the opportunity. Step 4: Perform in-depth interviews with potential finalists. Step 5: Reference check performance with former supervisors and colleagues. Check and verify candidates’ credentials (degree and certificate verification). Where applicable, provide necessary skills’ testing. Step 7: Arrange and coordinate interviewing schedules with client and candidates. Provide client with the results of reference and credential checks. Step 8: Debrief candidate after each interview to find how she thought the interview went. 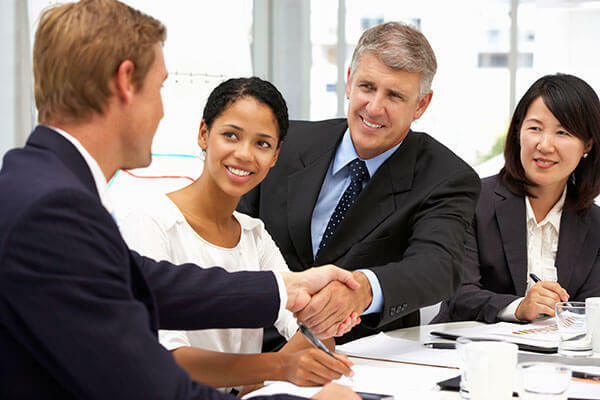 Debrief the client hiring authority to assess the strengths and weaknesses of the candidate. Step 9: Coordinate next step with the hiring authority on possible offers to me made and set the stage for acceptance offer. Provide necessary background information to negotiate an acceptable offer. Step 10: Reconcile any differences with successful candidates to pave a smooth way for offer acceptance. Step 11: If necessary, arrange with realtors, Chambers of Commerce, relocation consultants, moving companies to assure that the candidate (and spouse) are aware of the details of the new location. Step 12: Assist the successful candidate in cleanly terminating current position. Step 13: If necessary, work with the candidate’s spouse for job placement. Step 14: Follow up with both the client and candidate after placement to ensure that the transition into the new position has been smooth. Dunhill is proud to have served an extensive network of Hawaii’s finest businesses and government agencies. Our customer relationships are built on our company’s values of responsibility, respect, and reflection. We have provided staff across many industries including: construction, engineering, environmental, information technology, project and professional management, human resources, accounting and finance, sales and retail, medical administration, administrative services, marketing, advertising, and public relations. A company’s performance is only as good as its people. Paid for the entire three month, temporary relocation of this contract employee from Northern California because our client did not have the budget for relocating a contract employee. Leased and completely furnished an apartment in Manoa for our employee’s use. Our service to this company was above and beyond standard executive search company expectations. Over a 15-year period, Dunhill relocated 35 contract employees from as far as Canada, to fill AS 400 Programmer positions, a hard-to-find capability. Dunhill arranged all travel accommodations, greeted each employee at the airport, brought them to their apartments, and provided bus passes and complete directions on where to go the moment they walked out the door. Dunhill relocated a Building Information Modeling expert from South Carolina for a six-month contract. Our employee was so well-received that she was asked to return on a renewed contract. Arranged all travel and paid for airfare. Leased and furnished a condo on the beach. Leased a vehicle for her to get to and from work. Top 25 Woman-Owned Business in Hawaii.